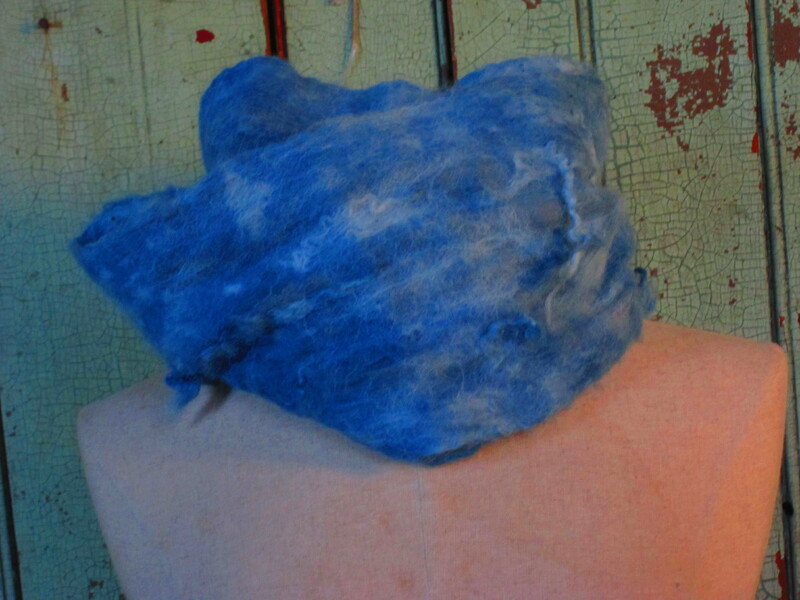 Scarf was made with barely carded white alpaca fiber nuno felted on to silk and then dipped in the indigo vat. I also added bits of uncarded alpaca to provide some extra texture. Slow clothes makes great holiday gifts. 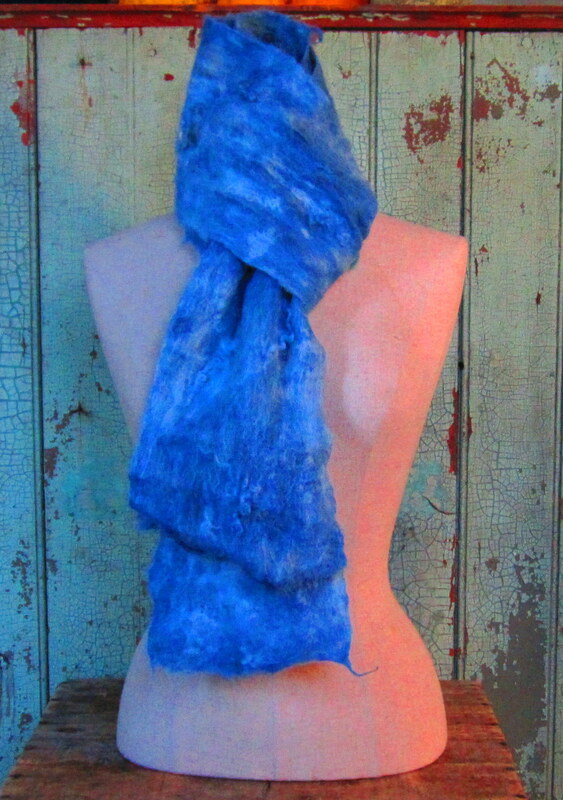 This entry was posted in Naturally Dyed Yarns and Products and tagged alpaca, Alpaca fiber, farming, fiber art, fiber arts, indigo, natural dyes, nuno felt, plant dyes, wool. Bookmark the permalink.